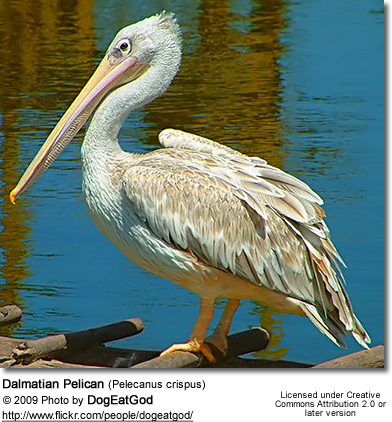 The Dalmatian Pelican (Pelecanus crispus) is a member of the pelican family. It breeds from southeastern Europe through Asia to China in swamps and shallow lakes. The nest is a crude heap of vegetation. 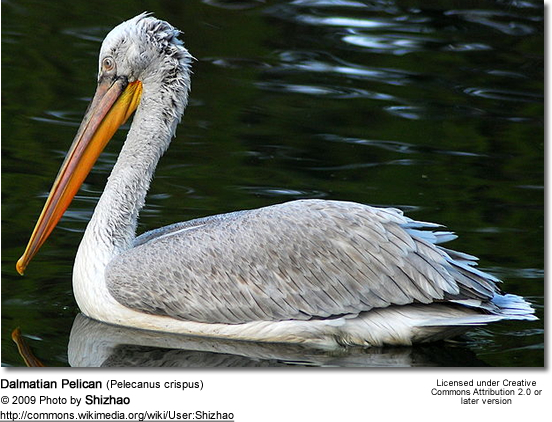 Like the White Pelican, this species has declined greatly through habitat loss and persecution. As of 1994, there are around 1,000 breeding pairs in Europe, most of them in Russia, Greece, Romania, Bulgaria and Albania (Karavasta Lagoon). 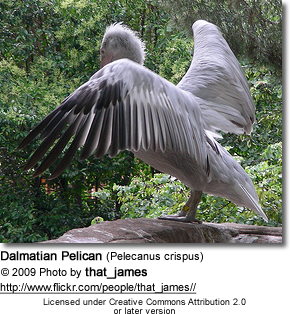 This is the largest of the pelicans, averaging 170–190 cm (67-75 inches) in length, 11–15 kg (24-33 lbs) in weight and just over 3 m (10 ft) in wingspan. On average, it's the world's heaviest flying species, although large male bustards and swans can exceed the pelican in maximum weight. 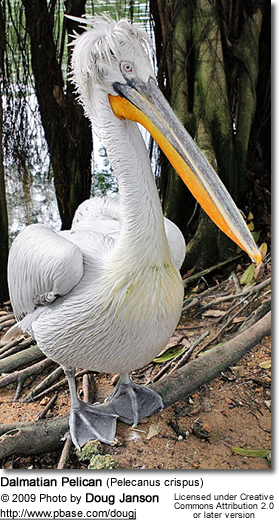 It differs from the White Pelican in that it has curly nape feathers, grey legs and greyish-white (rather than pure white) plumage. It has a red lower mandible in the breeding season. 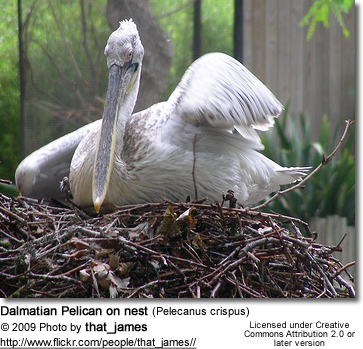 Immatures are grey and lack the pink facial patch of immature White Pelicans. The latter also has darker flight feathers. 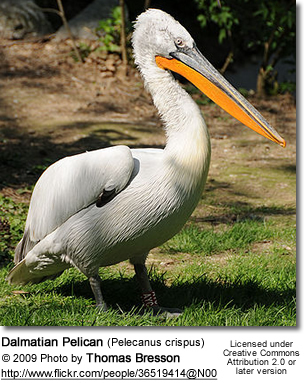 As is well known, pelicans catch fish and small birds in their huge bill pouches.